The collection also includes six shorter previously unpublished poems from the 1970s & 80s. 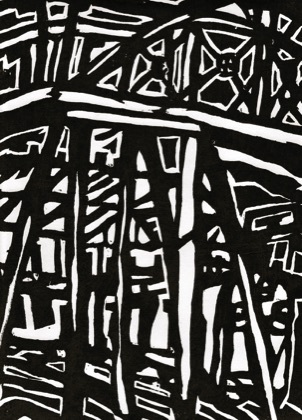 All are complemented by some fine woodcuts by New Zealand artist Wayne Seyb. 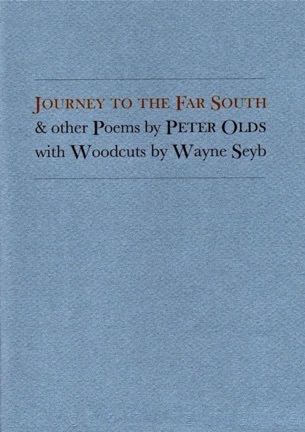 Peter Olds has been called by David Eggleton “the laureate of the marginalised… perhaps the last true survivor of the ’60s school of those writing under the influence in search of inner visions… [S]tanding at a slight angle to the universe, he offers us lovingly attentive accounts of his way of experiencing that universe”. Born in Christchurch in 1944, he left school at sixteen and after meeting James K. Baxter in Dunedin in the 1960s, began writing poetry. Among numerous collections since the early 1970s are: It Was a Tuesday Morning: Selected Poems 1972-2001 (Hazard Press 2004), Poetry Reading at Kaka Point (Steele Roberts 2006), In the Dragon Cafe (Kilmog Press 2007). A previous Cold Hub Press chapbook, Ballad of the Last Cold Pie appeared in 2010. 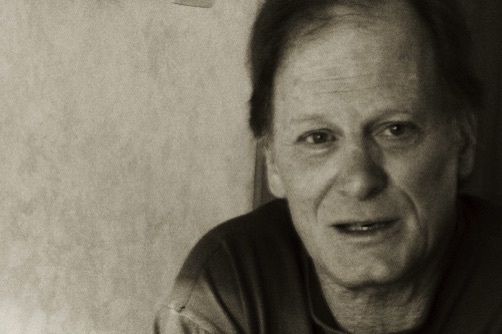 Peter Olds was a Robert Burns fellow at the University of Otago in 1978. In 2005 he was the inaugural recipient of the Janet Frame Literary Trust Award for Poetry. He lives in Dunedin. Wayne Seyb is an artist who “seeks to immerse us emotionally in paint” (David Eggleton). He has also worked on woodcuts and written poetry throughout his career. His poem How Do You Say Van Gogh? 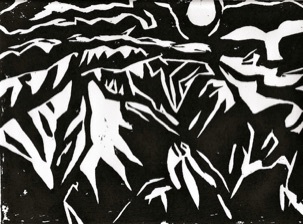 was published by The Broadsheet Company in 2005, and Broken Shadows, a Cold Hub Press chapbook of poems and woodcuts about proto-conservationist Richard Henry, appeared in 2011, a year in which he completed a remarkable series of paintings of quake-stricken Christchurch.